It’s showtime! 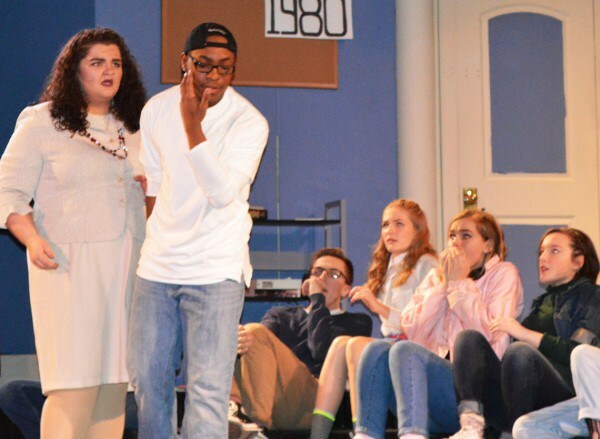 Sussex Tech Drama Club aims to achieve FAME! 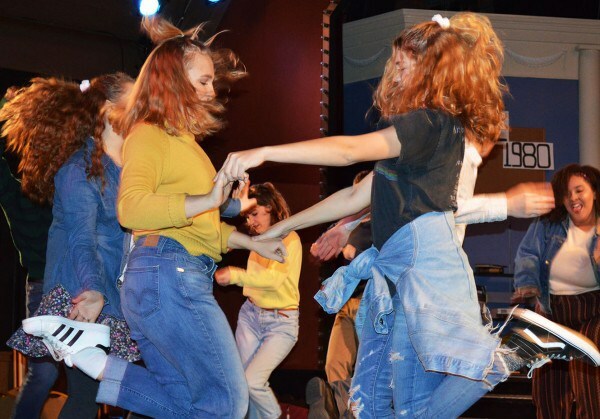 Weeks of rehearsal have ended and it’s showtime tonight, Friday and Saturday evenings and Sunday afternoon as the Sussex Tech Drama Club presents FAME: The Musical at the Clear Space Theatre in Rehoboth. 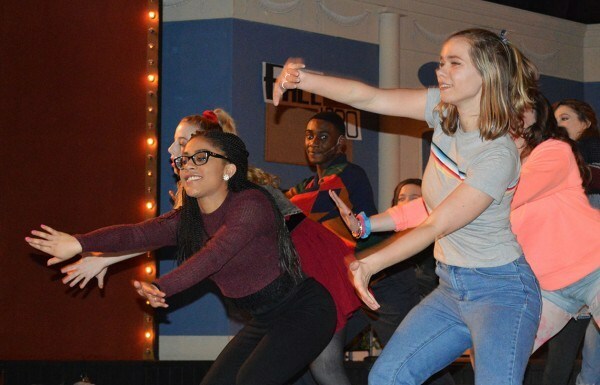 About three dozen students have on-stage or behind-the-scene roles in the ensemble production based on the 1980 movie FAME. 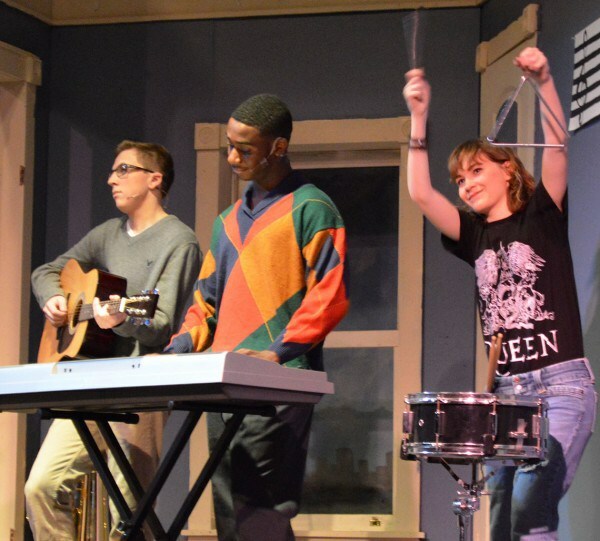 Several faculty members are also part of the production, Mr. Natoli said. 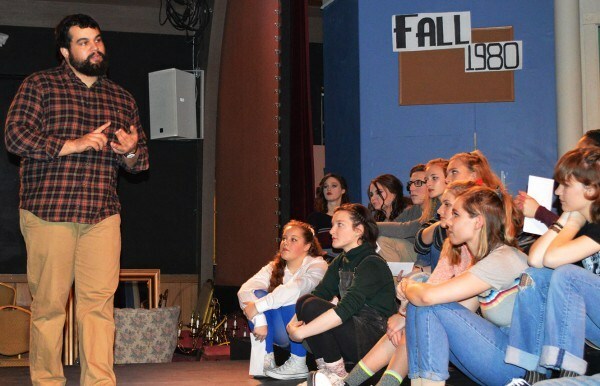 Rehearsal began in December for FAME: The Musical, which follows students of the prodigious Performing Arts (P.A) Academy in New York City from their first day as freshman in the fall of 1979 to their graduation in 1984. 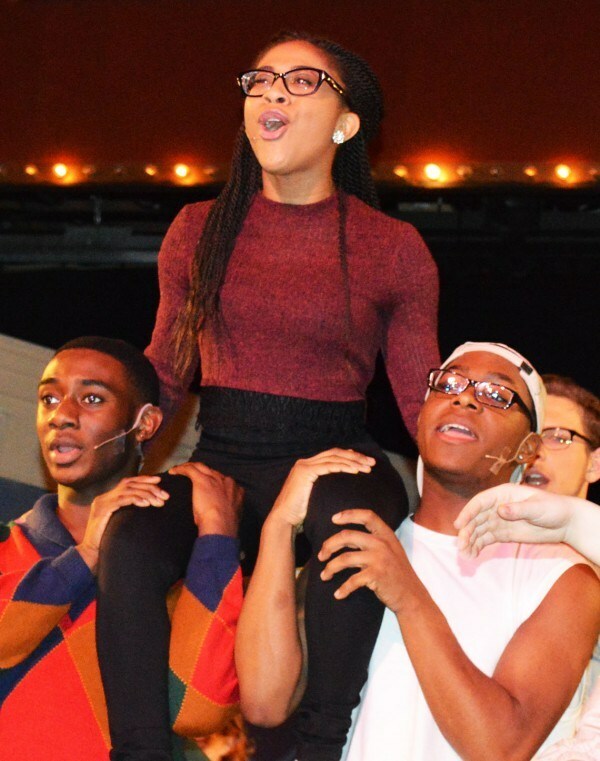 Tech senior Coreye Ross has one of the lead roles. He plays Tyrone Jackson, a talented hip-hop dancer with no real background in ballet. Tyrone encounters another challenge: he is dyslexic. “He’s a great dancer. He loves it. As the journey goes he has to build up his reading,” said Coreye. Junior Eryk Bluto plays Nick Piazza. “He is a very classically trained actor and he wants to focus on his studies more than anything else. He wants to go to P.A. He doesn’t want to get involved in any relationships. He just wants to be with himself and make his acting more than it could be,” said Eryk. 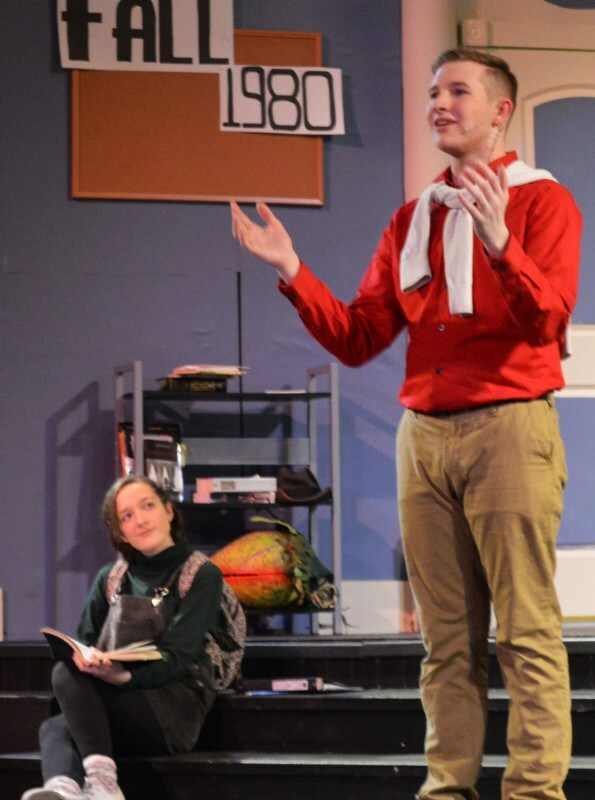 Senior Lauren Mahetta plays Miss Sherman, a stern English teacher who in one moment of frustration gives Tyrone an attentive slap to the face. 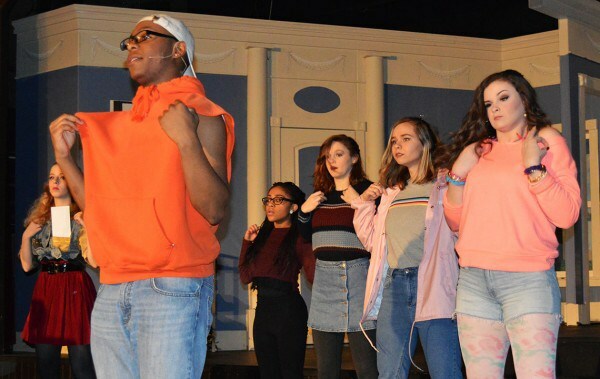 Mr. Natoli, in his fourth year with the Sussex Tech Drama Club, said FAME: The Musical was picked over several other production options. Alyssa Murray, Spanish teacher at Sussex Tech, is the choreography director for FAME. “These kids are doing an incredible job,” said Mr. Natoli. “I don’t know where I would be, who I would be or what I would do without drama club. It’s formed me so well. I love it,” said Coreye, who plans to pursue a career in exercise science at the University of Delaware or Towson State. He also plans to continue his performing career with local theater groups. 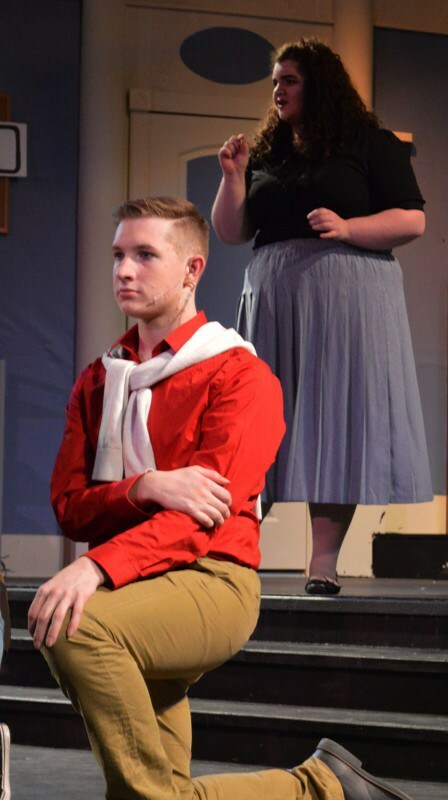 Eryk’s passion for musical theater won’t end with high school graduation. Evening shows Feb. 16-18 start at 7 p.m. Sunday’s matinee begins at 3 p.m. The show lasts about two hours, counting intermission. Tickets ($10 for students/seniors and $15 for adults) are on sale during all school lunch periods at Sussex Technical High School. Tickets are also available to be reserved by email and at the door on performance nights. Clear Space Theatre is located at 20 Baltimore Avenue, Rehoboth.